All I have heard this weekend has been the forecast of snow. The news has predicted a huge snow for our area and people are panicking. My Facebook news feed has been flooded with comments about snow. Everyone is worried about power outages and not having enough groceries. God doesn't want us to fear. He will surely take care of his children. I think snow is a reminder of God's goodness and his pureness. He has washed away our sins and made them white as snow. Snow can serve as a reminder of the word of God. I believe God gives us snow to remind us of what his son did for our sins. I also believe it is for us to slow down and take time to focus on him and the things that are important. We live in a fast paced world and too often we put God on the back burner. 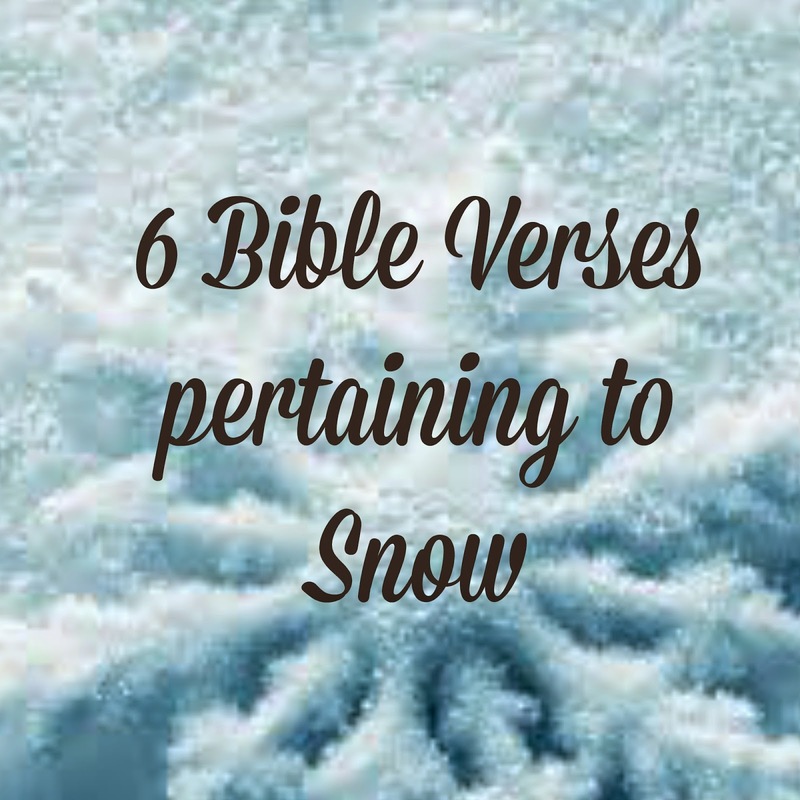 Here is what the bible says about snow.